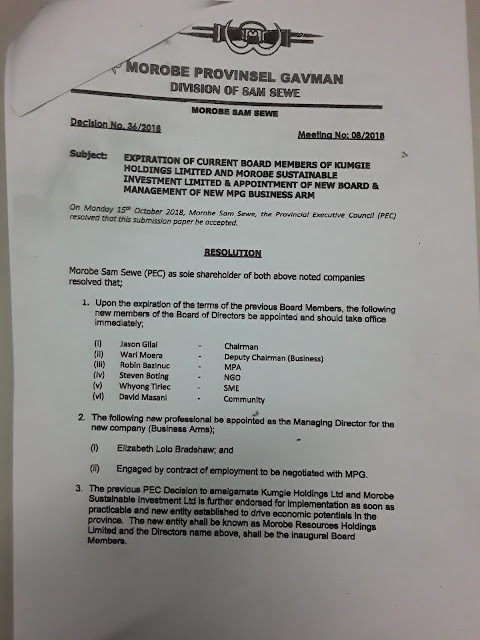 In April 2018 PNG Institute of Engineers President Brian Alois who is the Regional Works Manager - Momase was suspended by the Works Department. 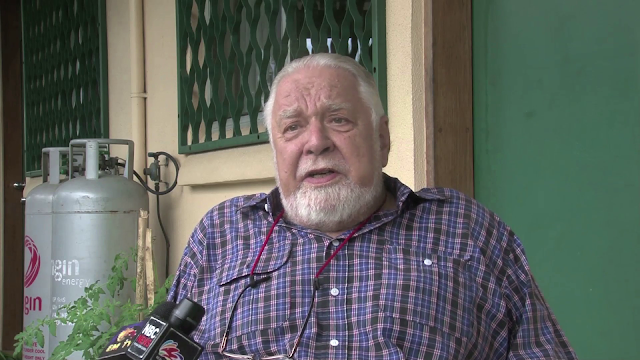 This month marks a year after Mr Alois' revelations at a summit in Lae in 2018. His suspension by DoW Secretary David Wereh and Minister Michael Nali was deemed suspicious as the reason being his outburst on the National Government's spending on lucrative contracts. Papua New Guinea National Research Institute Director Paul Barker described Brian Alois as one of PNG's professionals of integrity, of whom the country should be proud. Speaking as President of the Engineers' professional body, he was addressing the recent National Planning Consultative Summit and highlighting how the PNG Government is paying well in excess of what it should for road construction and maintenance projects. "This is consistent with other independent reports that highlight that PNG invariably pays on the basis of precedent (and deficient tendering processes) from previous inflating contracts prices, rather than the genuine cost plus a reasonable markup." "So, for helping PNG raise its standards, save its population tens of millions and better ensuring a sustainable infrastructure, not just in downtown NCD, and exposing wrongdoing/malpractice, for which he should be a national hero, it seems the Works Dept has, instead, chosen to suspend him. This sends a pretty strange message," says Barker. "Brian Alois has done more audits on road infrastructures in PNG than anyone else in DOW, he knows what he is talking about. Let the truth be told. The truth does hurt." "The IEPNG is supporting our President Brian Alois. He spoke on our behalf." Brian Alois spoke the truth during his presentation in-front of Works Secretary David Wereh and other Government Ministers and Departmental Heads. His presentation was straight forward and was clear enough for anyone to understand. I remember Brian also did a presentation in 2014 during an engineers conference in Lae. He did a cost analysis on the Lae roads. His explanation was pretty simple and was directed as challenges to engineers. One year on and Brian Alois still remains suspended. Its been a long time since I've reported on major crimes in Lae city. In 2014 I reported for EMTV as a crime and sports journalist covering petty crimes to rapes, murders and bloody ethnic clashes.I moved on to NBC in October 2015, the same time Chief Superintendent Anthony Wagambie Jnr was posted to Morobe as the Lae Metropolitan Superintendent Commander. We began working together on several policing initiatives with awareness into communities and suburbs in Lae as a start. Since then, law breakers in Lae were put on notice to stop crime or face the full brunt of the law. The barrel of the gun was the last resort as Wagambie Jnr tried his best to regain public confidence in the Royal Papua New Guinea Constabulary (RPNGC) in Lae. The Sector Response Unit (SRU) concept was put forward by Wagambie Jnr and its blessing by the RPNGC hierachy has pushed Lae police ahead to counter criminal elements in the city. Major crimes in Lae were reduced by almost 90% in just under three months, with more efforts towards giving confidence back to the taxpayers and residents. The SRU concept drew more support with Digicel PNG setting up a toll free emergency number and a whatsapp account attched to it for police assistance. Logistics and manpower are major challenges faced by the RPNGC in Lae. However, innovative policing has drove the Lae Metro ahead of the rest. I took a gamble in forming this unit. We selected a bunch of very young Probationary Constables with just over a year out in the field , put them with a couple of experienced NCOs, the majority of the NCOs were former Mobile Squad members and Rapid Response Lae. . I told them "You guys will make it or break it. If you fail , I fail and I will be dealt with!" We nurtured them , me being on the field with them and guiding the unit, taking command myself to make sure SRU operated the way I wanted. Now my boys are very experienced and everything is in place . Am proud of all of them. Yes we have one or two who step out of line, but the guys have done me proud. It's like a father watching his child take his first steps until he can walk unaided. We took Inspector David Kumayon, who was Commander Mobile Squad 13 and moved him to command SRU Lae. We then increased the manpower to the current 74 men. Never before have we had 24/7 Police armed response coverage of the City. Sections of SRU have been deployed out of the Lae to Morobe rural, Kurumbukari (Madang), Madang town unrest, Bogia (Madang) and Kainantu (EHP). I don't personally take command of the unit as much as I used to ,but only in major incidents or Operations. It gives me personal pride when I see and hear people praising SRU for all that they do. Yes they do extremely well. SRU has become the strength of Lae Metropolitan Command, and is here to stay even after I leave my Beautiful Lae. Now I watch my boys run. 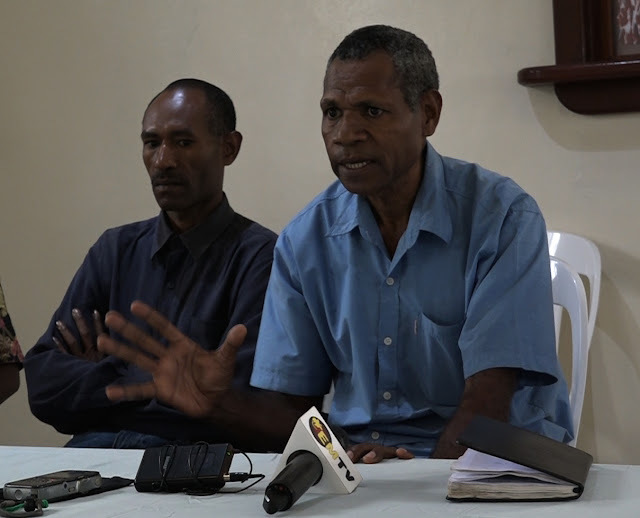 The Wafi-Golpu Landowners Association are denouncing the signing of the Wafi-Golpu Memorandum of Agreement and Development Contract of the K17billion Wafi-Golpu Mine in Morobe Province. They says there are many issues that needs to be sorted out before the National and Provincial Government and the landowners can agree for the developer to commence operation on their land. "If the Prime Minister goes ahead and sign this development contract with the developer without our consent, we will shut the project down. We will not allow any development on our land," says John Nema, Former President of Hengabu Landowners Association. They say their concerns must be addressed through a development forum and interests must be captured in the package and every stakeholders must agree and sign before the development of Wafi-Golpu project goes ahead. The landowners included the clan leaders from affected villages at the pit, the pipeline and the waste disposal sites. Firstly, the landowners have been subjected to a divide and rule tactic by the mine developer over the last eleven years. They have to fight for their own rights to be heard in their own development. The mining developers have caused Hengabu, Yanta and Babuaf to fight amongst themselves and as a result there as been not much unity up in their in the mountains of Wafi. This is irresponsible by any developer. 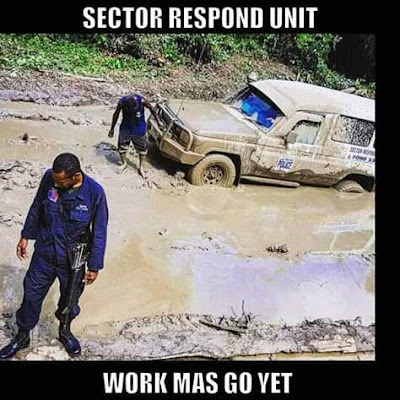 People like that should not be allowed to work in Morobe province and Papua New Guinea. Wafi-Golpu Joint Venture (WGJV) has not done justice to any of the landowners by promoting any of the landowners agendas and issues. All they have done well is to create an environment of divide and rule and as result of that the Babuaf Paramount Chief Ezra Kwako has taken a court order on August 17th 2018 restraining every stakeholders from developing the Wafi-Golpu agenda and to protect his possession and his people. This development contract should not be signed until these issues are being resolved. Secondly, is the divide and rule tactic played by local politicians who have gone on a land grabbing spree up at Zifasing and they jailed six innocent villagers just to gain access to the land that the landowners own. This is shameful and disgraceful and these politicians should be investigated by the Ombudsman Commission. You cannot go into land that other people own and try to land grab and claim it just for the sheer sake of greed. Prime Minister, Mining Minister and Governor Ginson Saonu, these things cannot continue to go on, we have many issues of contemption. Thirdly is the social mapping of the landowners. Nothing has been done on ground zero. at the Mining conference in Sydney earlier this month the Prime Minister, the Mining Minister and the Petroleum Minister we have all said that we have to identify the landowners. the landowners must participate. Prime Minister, this is another issue of contemption that has not happened and this must be rectified. What has happened in the past has been done and gone but right now what this government has to do is, before you sign the Wafi contract these issues must be looked into and must be dealt with. Landowner identification and social mapping must be done. This is the first thing that needs to be done before you resource project. Mining Minister, Prime Minister and Governor this contract must NOT be signed. The environmental damage from the tailings will be irreversible. No amount of money will reverse any damage that comes out of these deep sea tailings waste disposals. This thing will be a catalyst for major ocean environmental damage. This mine is NOT going to be there for five to ten years, this mine is going to be legacy mine, it's going to be a generational mine. It's going to be passed from grandfather, to father, to children and grandchildren. This is the reality of Wafi. Do you want our children to be poisoned over generations? Do you want those toxic wastes to be pumped into our oceans at the detriment of our people? The coastal villages; the three Labu villages all the way down to Salamaua and Morobe Patrol Post, Yanga, Wagang and Bukawa all the way up to Finschafen. Is this what you really want for the people of Morobe? This thing cannot happen, it cannot be allowed to pass. The deep sea waste tailings disposal concept must not be allowed to proceed. Our communities from Wafi, Wampar, Watut, Labu and Ahi are going to be affected from the toxic wastes. Every ocean-side village will be at risk along the Huon Gulf and Papua New Guinea. what are your contingency measures to counter these? Newcrest and Harmony what are your contingency measures to counter these? Our fishing grounds are going to be poisoned. The resettlement program for the Hengabu, Yanta and Babuaf people, where do you expect these people to go when you start developing this place? What measures have you got for their resettlement? How are you going to address the problems the transitory poverty that these people are going to encounter when you start to clear the place for development? These are serious contingencies that must be dealt with. One thing that we must all consider is, where is the participation of landowners in this development? Nothing was said about this at the Sydney conference. How do they participate? Having small grower cocoa farm? What has that got to do with mining development? They've got a K16.2billion mining development happening on their doorstep and you expect them to farm cocoa? This is unacceptable. If you are not willing to support initiatives of landowners, Morobeans and Papua New Guineans you take your mining and leave because there are lots of mining around the world. The Mining Minister, Prime Minister and Governor cannot sign the documents while these issues are yet resolved. The lessons from Hidden Valley still stands and there is no sustainability plans for the landowners. The same people that mined Hidden Valley are now trying to mine Wafi. Aren't our leaders going to stand up and serve the interests of Papua New Guineans or the developers? I am bringing this to your attention to help shed light on this as well as hold to account our leaders. 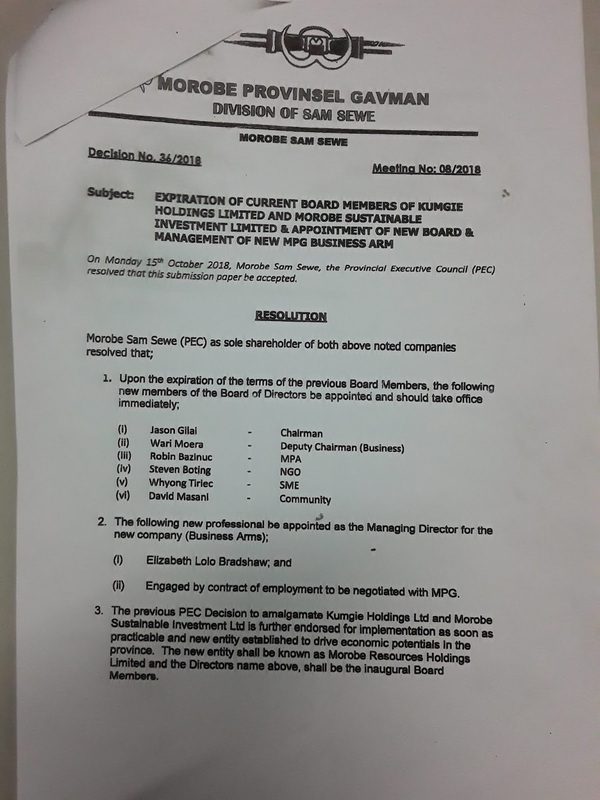 On Monday 15th October 2018, The Morobe Sam Sewe, the Provincial Executive Council (PEC) resolved that the submission of names of new board of directors of the Morobe Provincial Government Business Arm Kumgie and Morobe Sustainable Investment Limited must be accepted. The PEC resolution names the new board of directors to take over the business arm of MPG. Several of these people named are questionable characters that needs clarification on their statuses. 5. Ralph Saulep (main figure in the Unitech saga as former Uni council member and legal advisor to former Lae MP Loujaya Kouza and her failed projects like Lae Biometric Registration and Lae City Commission bid). There needs to be clarification on their part and roles. The IPA record names Governor Saonu as the sole shareholder of the company, which is unusual along with lawyers Elizabeth Lolo Bradshaw and Ralph Saulep as the only 2 directors. Take note that no former premiers and governors have been a shareholder to any business arm of the MPG since Utula Samana initiated Kumgie Holdings in the 1980s. In other words these two docs contradicted each other as the PEC named several other persons as directors - as a merger for this the 2 companies is in the pipeline. The concern is that the MPG business arm is now worth more than K30Million made under the current board led by Benson Nablu from just K5Million when they took office 3 years ago. There is fear this money will be squandered if not managed professionally by the new board. Remember: We dont criticize leaders but we hold them to account and tell the truth. I hope you are reading this with ease and a positive mindset to help change the course of this beautiful country of ours – Papua New Guinea. My first time experiences here have made me to raise questions about how our economy has been mismanaged over the last 40years. I’ve come to know this place from reading books, magazines, watching videos, documentaries and even looking it up on the internet. 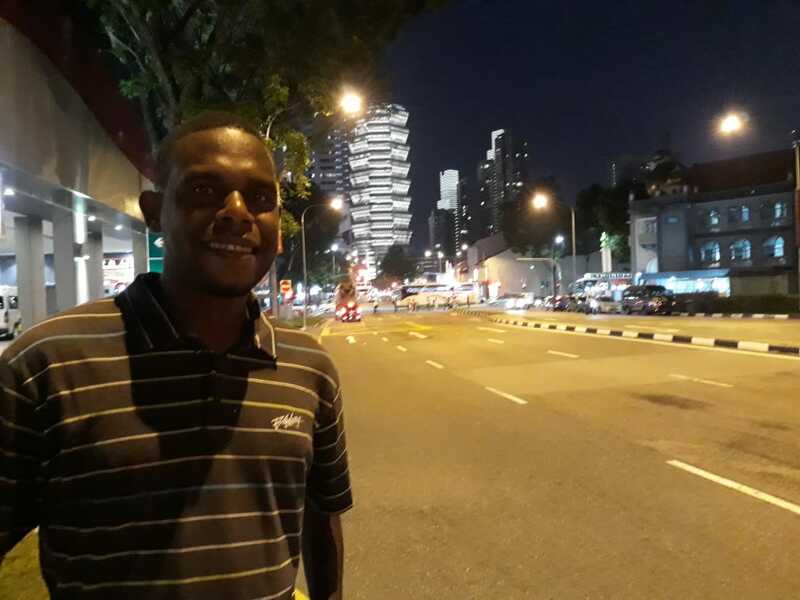 From the countless travel magazines in secondhand shops in Lae in the 1990s to the LCD screens of the most sophisticated smartphones accessed by almost all school aged kids in PNG today – Singapore has literally changed in front of our eyes. I read with much interest about how Singapore has transformed itself from a small island nation to become one of the most developed countries in the world. Singapore has a rich history of civilization. It was once colonized by the British empire from 1946. During the second World War it was invaded by the Japanese, and later taken over the British after the war when Japanese surrendered to the Allies. The failure of British to defend Singapore during the war forced the people to cry for merdeka or self governance. It 1963, Singapore became part of Malaysia ending a 144years of British rule on the island. Since gaining independence from Malaysia on August 9th 1965, Singapore has since progressed on to be the host of the biggest and busiest air and sea ports in the world. Papua New Guinea has some of the world’s largest natural resource deposits in gold, copper, timber and now the Liquefied Natural Gas (LNG) or the PNG LNG Project which is worth US$19billion. Singapore has been able to made it's way up to become a developed country in just under 53years of Independence. Its government subsidizes housing, medical bills, education, transportation etc. and increases economic opportunities for middle to low income earners. It is an island country without any Gold, Copper, Nickel mines, LNG project, organic coffee, timber or any other natural resources. It is a very strategic port of transition where all goods and raw materials are brought here first then transported elsewhere across the world. We also have the Lae Port in PNG, which is the most most strategic port in the Southern Hemisphere. It is where all the cargoes from across the world transits into the Australia and even the Pacific. The Lae Port and the production line of businesses operating in Lae generates well over K111million for the National Government coffers annually as internal revenue. The Lae Port serves as the only seaport that controls import of raw materials and exports of organic coffee, cocoa and other organic products for international markets. We could have better roads being built, good schools, hospitals and life improving facilities for every tax payer in the city. Our SME sector should have fully flourished by now if we have the government putting its paper policy to work. Squatter settlements and law and order won’t be major impediments for growth and development. People’s mindset would have changed and people’s movement in search for better service delivery would have been narrowed down. Everyone in here respects each other despite their color, ethnicity and religion. There is no littering, loitering or even people sleeping on the streets. You will get caned by the police if you don’t dispose your rubbish in the rightful place. The Singaporean government has made it it’s responsibility to ensure every citizen learn to appreciate and look after the environment. There are separate rubbish bins for biodegradable and non-biodegradable. No smoking in public or even spitting as you will be fined and dealt with accordingly. All these boils down to change on attitude. If we change our attitude and start respecting each other and the environment we live in, we will create a good future for our children. Since we don’t change ourselves, we kept on voting self-centered individuals to represent our interest in parliament for the last 40years. A politician once told me, he has plans and dreams to reclaim the beauty of the city he grew up in the early 70s. But he further said, that dream would only be achievable if the people change their mindset. Also one member of parliament wont make the change happen, it needs the majority of them to stand up for the people’s needs. I represent the last generation of kids who have used a kerosene lamp, a payphone, drank from a Coke bottle and listened to music on cassette players while growing up. We have anticipated so much to change for the better, but we are seeing the other way around. Life is getting tougher. Our politicians should stop coming to Singapore for medical treatment alone, they should start focusing on making PNG become the next Singapore. A wise man once said, if we continue to tell lies, it will surely become the truth. If the government can fool us for forty years, they might continue to sell PNG's resources for their own interest. Over the last three weeks, the Papua New Guinean Opposition has led a boycott to stop buying the two daily newspapers in the country over allegations that their (newspaper) reports were biased and have been promoting government agendas. There were allegations also that journalists were bribed to run biased reports for politicians and ministers in the government including Prime Minister Peter O’Neil. However, prior to that a PNG Government Minister was reported by a local newspaper that he wants to ban Facebook in PNG following reports of fake news by unknown individuals on social media. This led to several debates and arguments by politicians and the general public on why Facebook should not be banned, which was an unofficial statement made by the minister and used by the media. PNG journalists were criticized following the attacks with reporters alleged to have been bribed to write propagandas for politicians. 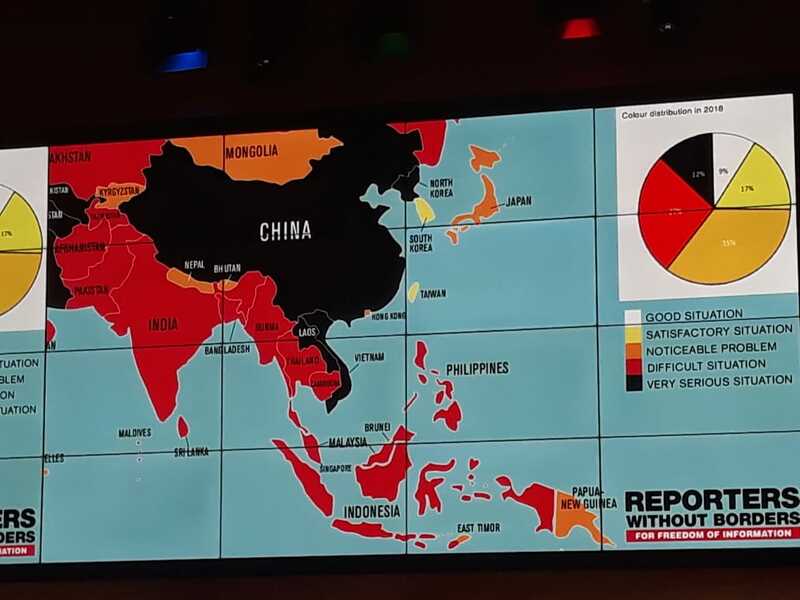 Papua New Guinea media shares a lot of struggles with our Asian neighbors when it comes to battling freedom of press and the spread of fake and misleading news. 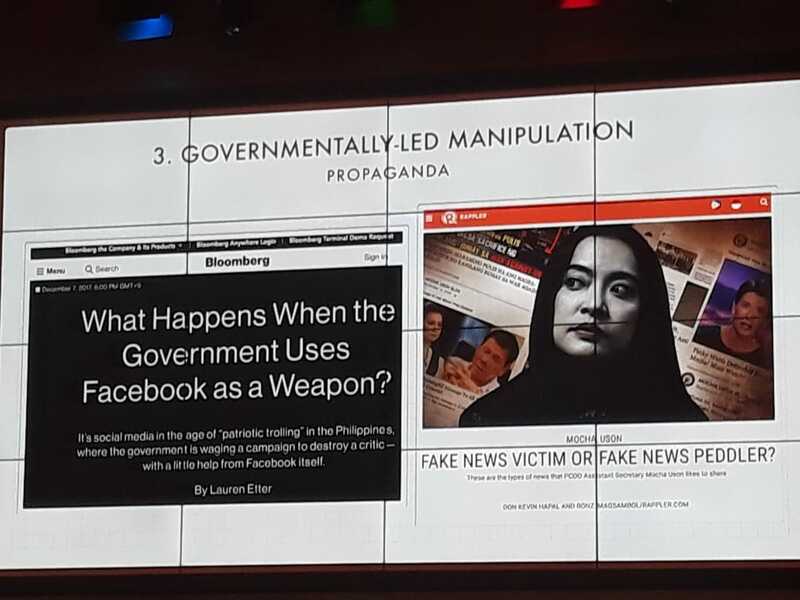 Misinformation on mainstream and social media is a major concern in the Asia Pacific Region. The International Fact Checkers Network (IFCN) highlighted several methods towards fighting misinformation during the 2018 APAC Trusted Media Summit in Singapore this week. Masito Kajimoto from the Journalism and Media studies Centre at the University of Hong Kong says fact-checking and verification initiatives exists and should be effectively researched through collaborations from journalists. In some countries, misinformation can be deadly serious. Certain vulnerable topics differ in each country. There should be tougher laws and legislation to crackdown and or censor fake information to be published. The summit also highlights that the integrity of the Legal System is questionable in some countries where people have little or no trust in the system. Social justice is a bigger part of journalism in peoples’ mind. 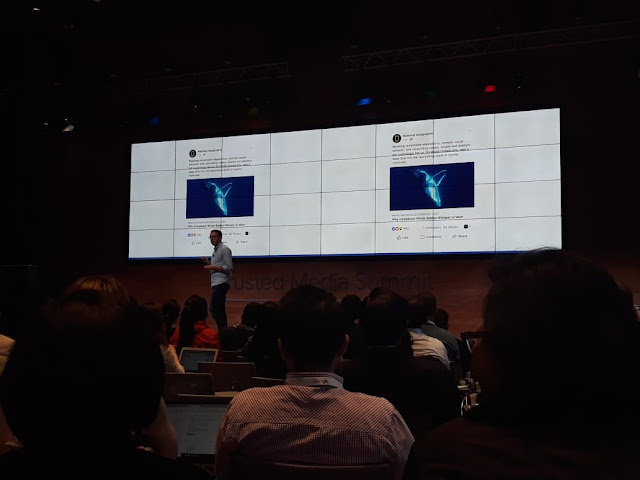 Facebook Product Manager Jason Rudin told regional journalists that gathered that technology is helping fake news to spread quickly and become more credible. However, Facebook has built new tools help fight misinformation through it’s applications. BBC’s Digital Launch Editor with the Indian News Service Trushar Barot is working on a project on Beyond Fake news in India. The scope of work includes five key elements on Research, Digital Literacy, Editorial Session, Conferences and Hackathon. In the next coming days, this summit organized by the Google Singapore, Storyful and IFCN will deliberate on more ways to combat misinformation and fake news in the region. I committed my time reporting on cancer treatment, after losing my dad to this deadly disease in 2014. He couldn't have died if there was adequate morphine drugs, equipment and cancer treatment specialists available at the ANGAU Memorial Hospital in Lae. When you walk into the cancer ward at ANGAU, you will notice the despair in the eyes of the patients, there are inadequate supplies of drugs and most importantly a specialist doctor to conduct chemotherapy treatment on patients. Health Secretary Pascoe Kase and the NDOH boldly ignored that court order. Question: Why is NDOH Paying 15 Radiation Therapists when there is no work because there is no Radiation Oncologist since Dr Deepak left Dec 2016? ANGAU HOSPITAL is so understaff, why can't these 15 getting paid RT's be deployed in other department to provide services or temporarily retrench until a Radiation Oncologists comes? Cancer patients are quietly dying one by one. And Kase & forner Health Minister Michael Malabag has repeatedly said on newspapers & TV that 3 Radiation Oncologists are coming to replace Dr Niblett?? Where are they?? While the nation mourns the passing of this great man one year ago, I am greatly ashamed on why my government has done that to Dr Niblett and leaving cancer patients to die while waiting for specialists to treat them.